With all that is happening under the new administration, it is important to stay aware and vigilant. 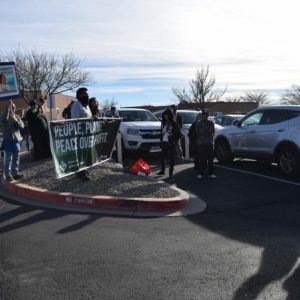 Here at GJ we like to find every way to feel empowered– we know Resistance works. 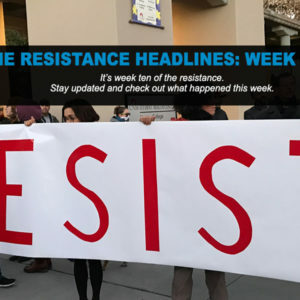 So, we bring you our newest segment, The Resistance Headlines, a look at the actions from the past week. With all that is happening under the new administration, it is important to stay aware and vigilant. Here at GJ we like to find every way to feel empowered…We know Resistance works. 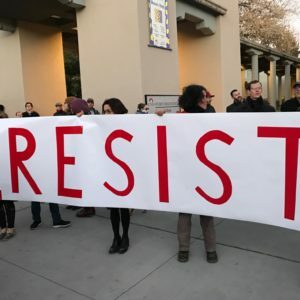 This edition of the Resistance Headlines some national and local acts of resistance leading up to the 100th day of the new administration. In this first 100 days of the new administration, we are dedicated to providing a narrative of resistance. So, Generation Justice brings you a collection of the acts of resistance from around the country. This week’s hosts are Kateri Zuni and Aaron Hagler. In this first 100 days of the new administration, we are dedicated to providing a narrative of resistance. So, Generation Justice brings you a collection of the acts of resistance from around the country. This week’s hosts are Edgar Cruz and Alissiea Hernandez. In this first 100 days of the new administration, we are dedicated to providing a narrative of resistance. So, Generation Justice brings you a collection of the acts of resistance from around the country. This week’s hosts are Sammy Assed and Kateri Zuni.